The illustration of the 2012 vintage was chosen personally by Baroness Philippine de Rothschild, who died on 22 August 2014. The commission was given to the Catalan painter and sculptor Miquel Barceló. Born in 1957, he is the creator of a universe that is both realistic and dreamlike, a realm of intense colour in which combinations of techniques and different materials give striking relief to the subject matter. 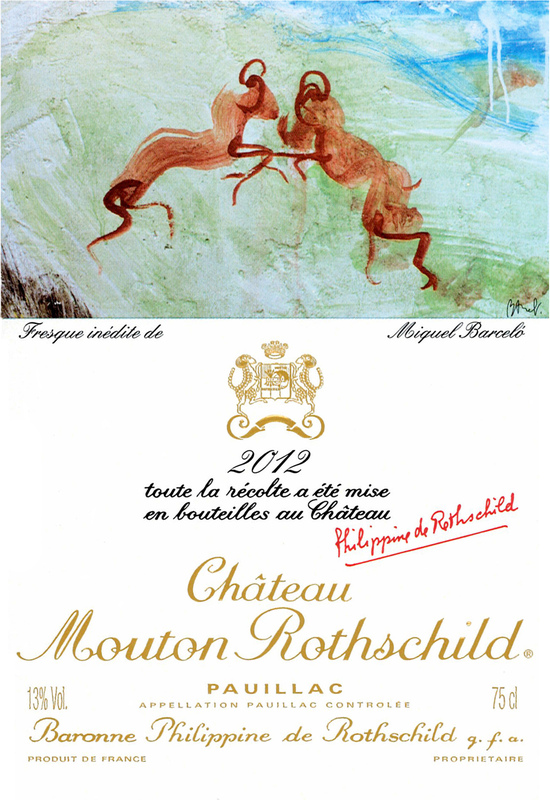 His fresco for Mouton 2012 revisits the Château’s historical emblem. Its two rams, symmetrical and face-to-face, are a reminder that the balance and harmony of a great wine, already present in nature, still set a challenge to be met by the work of human hands.